I’ve also seen a couple “Farmer’s Almanac” predictions. Either way, we’re predicted to be extremely cold and snowy. But both Farmer’s Almanac predictions I’ve seen are different. That leaves me scratching my head just a little. It’s no lie that I love my carbs, but I have been trying to cut back on them or stick to the good ones that you get from fruit, mainly grapes lately. I also need that fiber, right? Otherwise, it seems I’ve eaten a lot of cake this summer. I got on a cake baking kick in May that hasn’t seemed to quit. 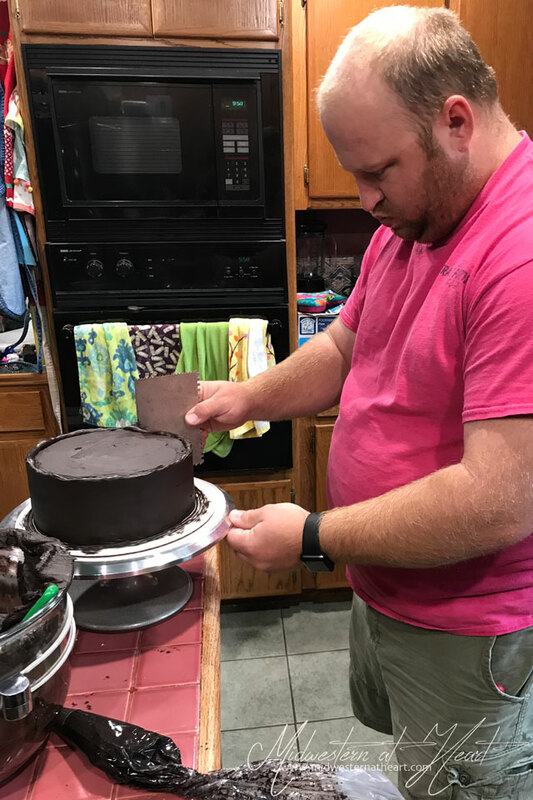 The month of August has been a slow down on that particular statement sadly and it leaves me wanting to find something to bake a cake for, but I haven’t eaten the whole cake… moderation, right? Water. Like lots of water. I’ve kind of given up most other things for the most part. Have I ever told you about the first blind date I ever went on… pretty much my only blind date really… So we met at a dance club. I was too young to drink, but you could get in at 18. I only went to dance anyway, that and meet this guy. My roommate’s friend set us up. So I was told to look for the guy with the black hat and blonde hair/blue eyes versus the guy in the black hat with red hair/blue eyes. They were friends and the hair color was the difference. In fact, I guess they had been mistaken for twins more than once. Now here’s another secret… they looked nothing alike. Smooth right? Gosh! I’m always so good on dates. I have other “horror stories.” But… I did get a second date. Sadly, he was more into me than I was into him but we remained friends throughout college. And… shame on me, I dated his friend too. You know, the other one in the black cowboy hat that had red hair and blue eyes. By the way, he was a jerk. We didn’t stay friends. Sadness and guilt with a little anxiety thrown in. Sadness first. Guys, summer is almost over! Our goal this summer was to have an awesomely fun summer. While maybe we could have done more, I think we’ve accomplished this too. Scuba diving, family weekend trips to Kansas City and Springfield and the lake and and and. A bigger family vacation for a week to San Antonio, Texas and a day on to Corpus Christi to go to the beach. Eating good food. Enjoying the outdoors. Riding horses. We’ve done a lot… but with fall setting in, the threat of colder weather which keeps us indoors more. I hate being cold. I can never get warm if I get bone-chillingly cold. Guilt. This has been a hot summer. With that said, we have spent a little extra time indoors because it’s been so darn hot outside. I should have been outside. I always feel like this. I’m just not always sure what to do outside besides standing there scratching my head wondering what to do. I have guilt about that too. I think I may be a guilt-ridden person… Guilty that I’ll never get any of the past minutes back and did I live my life to the fullest. Guilt! Anxiety. Baby girl starts preschool next week. All the schools around have started school and been in session for like 2 weeks or 2 1/2 weeks now, but her preschool hasn’t started yet. I have such anxiety. Fear that she will be bullied. Fear of the horror stories I hear of kids taking their lives because they see no way out. Omg, just typing all that makes me breathe heavier, shake, and tears in my eyes. This is a mean world and it’s getting meaner. I don’t understand why. I hate it. I’m scared. Scared to the point I’ve contemplated taking down this blog more than once because I don’t want something I’ve typed to come back and bite her in the behind. Anxiety and fear. Let’s move on… Reading. That’s a safe bet. I’ve read quite a bit this year, especially this summer. Lately, I’m really into memoirs. Truthfully, I kind of want to write my own. But at the same time, some fear and anxiety creep in and I probably never will. I’m scared to be judged. Oh crap, we went backward, not forward. Reading, stay focused Nicole. In the last couple of weeks, I finished Anna Kendrick’s memoir Scrappy Little Nobody, Sariah Wilson’s Royal Design, and Melissa Joan Hart’s Melissa Explains It All: Tales from My Abnormally Normal Life. 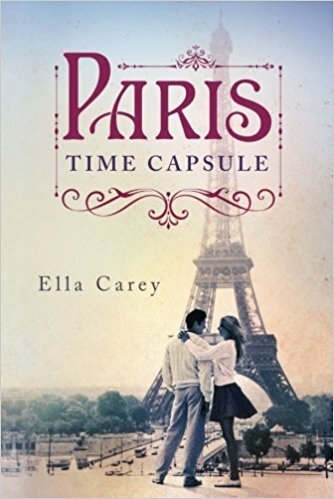 I’ve recently started Paris Time Capsule by Ella Carey. This is actually a prequel to From a Paris Balcony. I wish I’d have known to read them in the correct order. Hindsight is 20/20 as they say. At the beginning of summer, we got into watching Parenthood. We’re on season 5. There’s only the rest of this season and one more season left. I think it plays on my anxieties a little bit too. It’s a good tv drama I think. I’m not sure they claim it as drama but I do. There’s something about these shows though… I can only take so much binge watching them and then I have to find something else for a bit. Some shows say like Nashville, I got to the point of no one is happy and all the backstabbing that I had to quit. This show isn’t like that but I have had to take a little break. In our break, we started watching Hart of Dixie. Obviously, every show has to have a little drama or it wouldn’t get people hooked. DUH! But I can’t take full-on drama situations like soap operas. They stress me out. I remember my grandma used to watch soaps and she’d get so mad at the tv she’d either yell at them or at least tell them how it was. So far, there’s a little drama but not terrible. We just started season 2. It only has 4 seasons I think (or was it 5? I can’t quite remember). Bring it on… by the way, if you have seen it, I’m rooting for Zoe and Wade. I truly am. More summer. Also more hours in my day. And truth be told… to not worry about what people think. That’d be great too. But material items. I’m probably okay there. See above. But also… nothing. I’m good. Although maybe I need a good stiff drink to get around my anxiety. We were looking at my maternity pictures the other day getting ready to do a maternity photo shoot this afternoon. I made so much fun of myself because I couldn’t be serious. We decided that’s probably how I dealt with my anxiety, stress, fears, and everything else that comes with expecting your first child. There were a lot of “would be” good photos of us, but I’m the one who screwed them up. My grandpa’s birthday was this week. He would have been 90. Wow, that’s a weird thought. He was born 8/28/1928. He’s been gone for 8 years. Luckily we went out to dinner on Tuesday night. I’m also missing my grandma. Our wedding anniversary is next week. We got married on my grandparent’s anniversary. Both of them were gone by the time hubby came into my life. I remember on my grandma’s last anniversary, she was walking around the house saying, this will be my last anniversary. She died 7 days later. She’s now been gone 11 years. The memory of her voice is fading away way too quickly, but I can still sort of hear her messages to me on the answering machine, Nicole this is your gramma, call me back. My grandpa had a son when he met my grandma. He was killed in a fire. He was a fireman. I have found his wife on Facebook. I put a picture up of my grandparents on their wedding day and hubby and me on ours. His wife commented and said that I look like my grandma. Best compliment ever. Finally, I’m missing my other grandpa. He has been gone now 10 years. He left us 9 months after my grandma on Father’s Day 2008. Wow, this post got real deep real fast… but it’s that time of year. That it is still technically Summer until September 22. There’s still a lot of fun to be had, even though Labor Day tends to mark the “end of summer.” Heck, this weekend has lots of fun in store. So does next weekend. Okay, I’m going to go blow my nose because I’ve teared up a lot during this post. It got a little real a little fast. And if anyone knows me… if I tear up, I have to blow my stupid nose. #imnotcryingyouare.